Skylanders Academy is a 25 minute animation fantasy television series, which kicked off on October 28, 2016, on Netflix and is broadcast every Friday at . The show is currently in its 3th season. Netflix is yet to announce the renewal of Skylanders Academy for Season 4 as well as its cancelation. Sign up to track down the show's status and its release date. 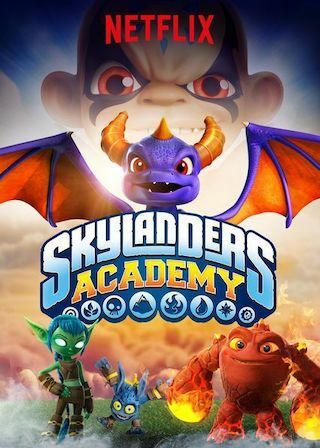 Travel the vast Skylander universe in this animated series as a ragtag group of academy graduates build trust and heart in their fight against evil.